Starting any journey is wrought with unknowns—and that includes starting your fitness journey. Whatever the catalyst that put you on this path—an unexpectedly high number on the scale, finding yourself uncomfortably out of breath after playing with your kids, or any other reason—you know you want to take it. So where do you start? Certainly a Google search of “fitness classes” is one way to proceed. But keep these three tips in mind as well. You don’t need to spend hours at the gym, and you don’t need to do things you hate. In fact, you are more likely to stick with something if you like it. The fitness classes at Manic Training, for example, are designed to be taken three times a week, and there is a different workout every other day. You’ll never get bored, and your muscles will never get complacent. Group fitness classes can be particularly motivating because you are surrounded by people who are going through the same thing you are. Everyone is at a different point in their own fitness journey, but there is something special about sharing it with others. It is also easier to be accountable! If you are truly seeking a lifestyle change, a place like Manic Training also offers plenty of extracurricular activities to keep you active—and social. Organized group activities are on the calendar frequently and include things like hikes, runs, rides, and SUP. It’s a marathon not a sprint. You didn’t become overweight and/or out of shape overnight, and you won’t change dramatically within a couple of weeks. Consistency is key. Are you ready to start your fitness journey? You don’t have to go it alone! Join us in Highlands Ranch or at any of our locations for a free week of fitness classes by signing up here. Manic Training program is a high intensity interval training (HIIT) workout developed to improve functional fitness. The programming is designed to increase strength, power, work capacity, and durability to tackle real world challenges through exercises of purposeful variety. Manic Training doesn’t just prepare you to excel at one sport: It prepares you to excel at any of them. The sessions are intense and challenging to everyone on many levels. Manic Training brings programmed sessions into a hybrid style of training. The strength and conditioning aspects of many sports have been aligned to bring challenging, beneficial workouts to our members. 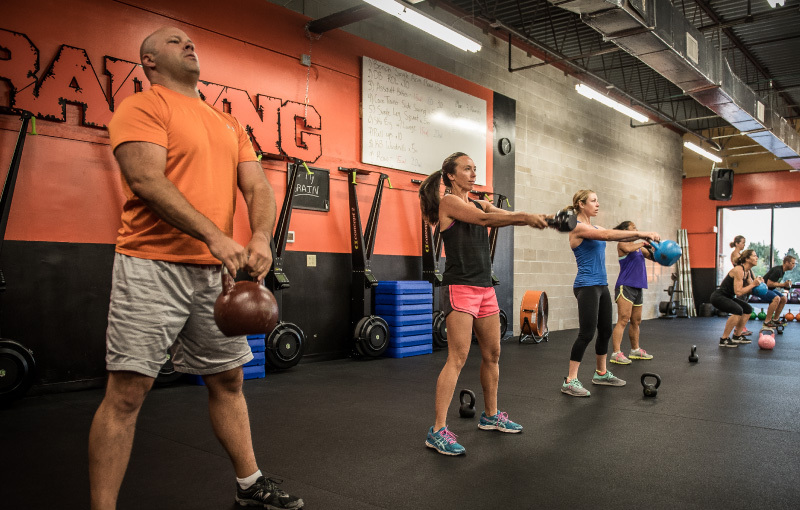 These sessions use full body workouts and compound movements utilizing free weights, medicine balls, sandbags, kettlebells, Airdyne bikes, rowers, SkiErgs, ropes, push sleds, and many bodyweight exercises. Three different workouts each week are presented, in many different formats, across all planes of motion. Who Should Do Manic Training? We can’t emphasize this enough: The Manic Training programming is designed for ANYONE and EVERYONE with the desire to better their health and lifestyle. Whether you are a teenager, a working mom or dad, or a retiree, and regardless of your fitness level, Manic Training is for you. Whether you are a seasoned athlete or a bonafide couch potato, Manic Training is for you. The program can be modified as necessary so that you receive the maximum benefit from each and every workout. The Manic goal is to program workouts that challenge and benefit every participant in all aspects of athleticism, to achieve long-term goals, and to improve fitness and health. Manic Training prepares you to feel better, to perform better, and to be stronger—from the core out! What Else Does Manic Have to Offer? Sure, our training is unique—our members will tell you there is nothing quite like a Manic workout. But we are also a community. From the camaraderie that is built during the workout when you are sweating with like-minded people, to the friendships that are created at a Dudes and Brews evening or a Ladies Night, we know how to have fun. We are also a community of people who are committed to fostering a lifestyle of outdoor adventures and experiences. 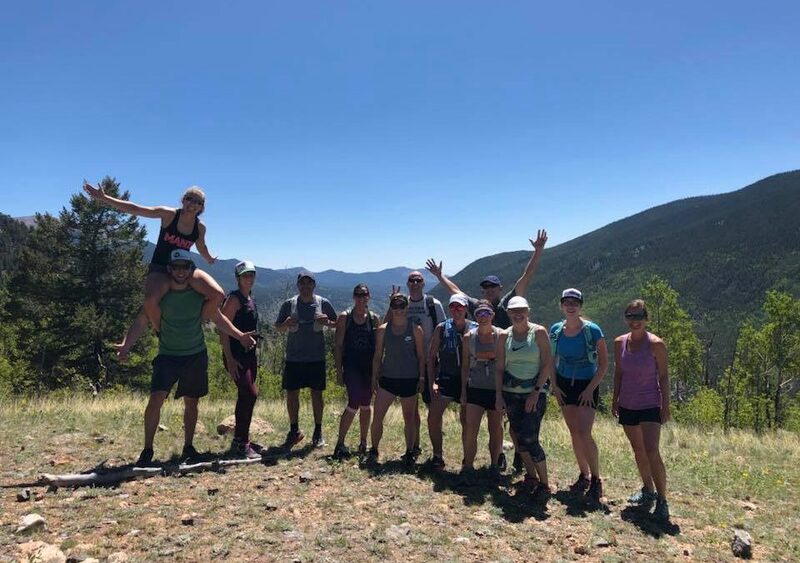 To that end, we socialize outdoors, and there are always organized group activities on the calendar, including hikes, runs, rides, SUP, and other outdoor mayhem for our race team, such as Ragnar and Spartan. This where the “train in to adventure out” mantra comes into play. 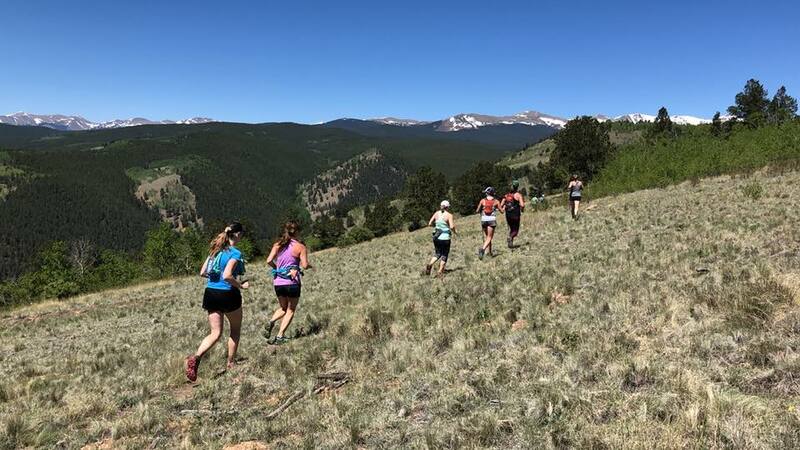 After all, it’s not all about what you can do in the gym but what you can do outside the gym for whatever life throws at you—whether it’s hauling in groceries from the car or hiking a fourteener. We are vested to be a leader in training for LIFE! Join us at our gym in Highlands Ranch or any of our locations for a free week by signing up here. If you have been in Denver for a while, you know this already: It’s been a tough winter. Those of use who have lived on the Front Range for more than a few months have grown accustomed to lots of 50-degree sunny days in January and February, with a few days of 70 degrees tossed in for good measure. We may not be experiencing the polar vortex the Midwest and Northeast are experiencing, but that doesn’t make this any more difficult to take. Try to put some variety into your workouts. If you lift weights as part of a routine, try to change it up a bit. If you are used to free weights, try to work out on some machines. Don’t blow off your usual workout structure—just try something new. Work out with a friend. If you normally train alone and your resolve to get your workouts in is waning, partner with a friend to shake things up a bit. And if you’re smart, you’ll find a friend who is more experienced than you are, and you could learn a thing or two about techniques or workout variations. Set a new goal. Whether it’s mastering the 5k run or doing 10 consecutive pull-ups or whatever your personal goal is, work toward it during these months. Challenge yourself by setting specific goals for each workout. Visualize yourself just plowing through your workout. Plan your reps and sets ahead of time, and get it done! Take advantage of fitness events to help keep you motivated. 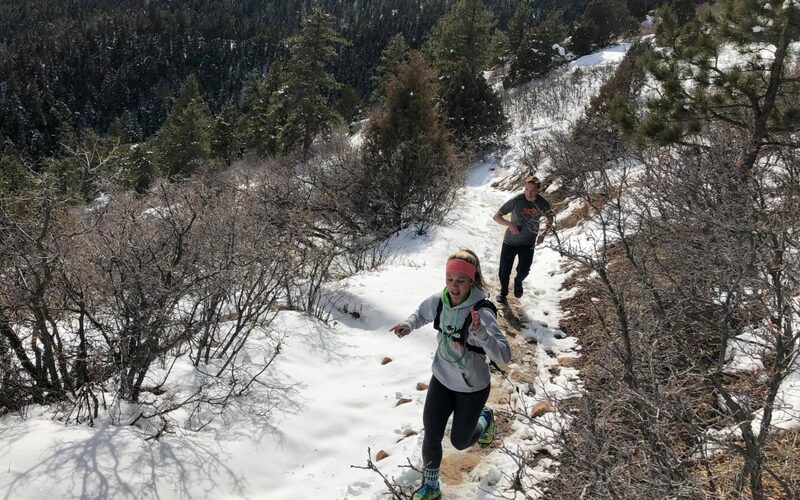 Manic Training offers great ways to stay connected to the nearest gym in Highlands Ranch with some fun things to do with fellow fitness-minded people. Think about how great you’ll feel when you’re done. Studies show that exercise can help boost your mood and even keep long-term depression at bay. Even a bad workout is better than no workout! You can do this! 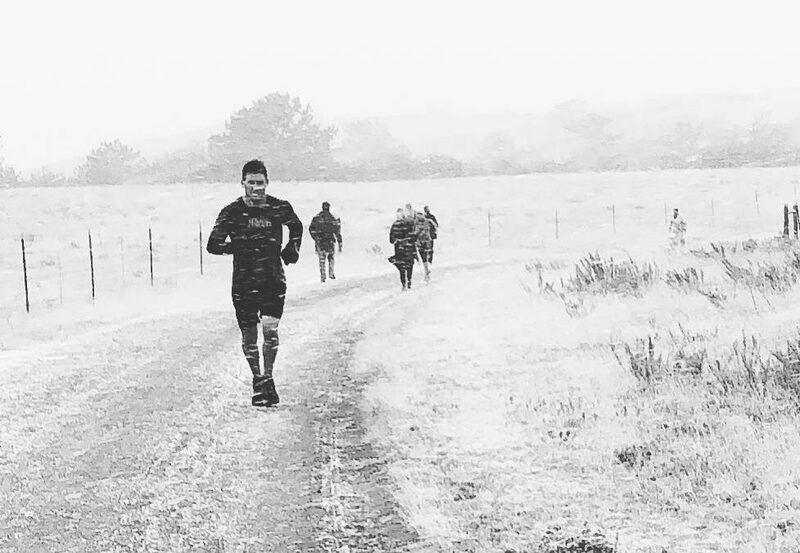 Keep your training extra consistent during the winter because spring is just around the corner. Want to know when our next post is live? Submit below. One of the best things about Manic Training is the diversity of its membership. Kyle O. has been a member of this gym in Highlands Ranch pretty much since it opened its doors in 2016. Like many members, Kyle is a busy professional with a family—although with five kids, his family is probably bigger than most. 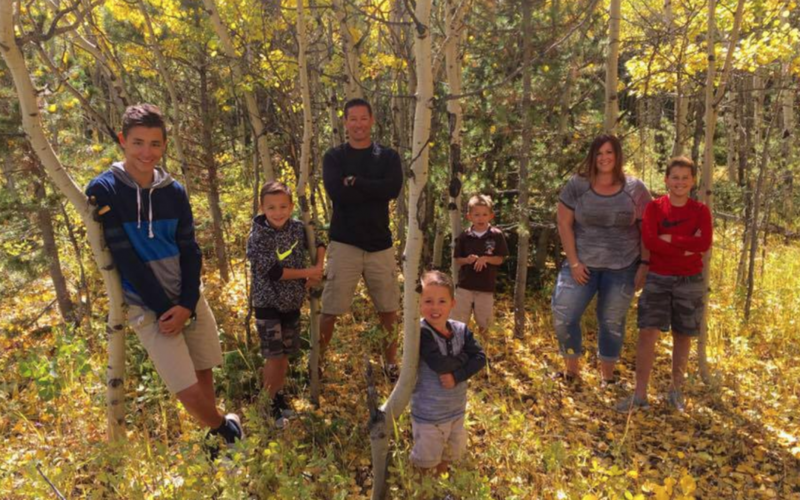 He and his wife Holly, homeschool their five boys, whose ages range from six to 16. Both of them appreciate how the tightly scheduled Manic Training workouts help them maintain a healthier body as well as a healthier work/life balance. Kyle recently sat down with Manic coach Scott Jones for a podcast to share a bit about his life, his work, his faith, and his fitness. Here are some of the highlights. When he first started hitting the Manic workouts, it became a bit of an obsession, Kyle says. Current status? He admits that it is tough to make it in consistently given his job—he works nights—and his busy family life. (Kyle adds that the people around him can tell when he is not getting it done on a regular basis!) With his boys all involved in various activities, and since he and Holly share homeschooling duties, getting in workouts can be a challenge. Kyle has been a SWAT member of the Lakewood Police Department for the past 20 years and a K9 handler for the past eight years. He is the first to admit that not all police officers are in good physical shape, although he says there is more focus now on changing that. “It’s the job,” he says. “The hours, the stress…you don’t really have the option to eat well unless you plan ahead.” At 46, Kyle says he is probably more fit than the majority of the guys in his unit, most of whom are in their early to mid-thirties. Kyle goes on to say, however, that his department has been supporting fitness a lot more over the past few years, even offering health screening to its members. Being a K9 handler was one of his goals from back in his police academy days, says Kyle, although because there are so few in the department, many thought it was an unlikely dream. But after about 12 years on the force, he got his wish. Married for just over 16 years, Kyle says he and Holly opted to homeschool their boys so they could put more emphasis on their faith. The couple divides homeschooling duties, with Kyle handling the primary years and Holly taking over once the boys are older. Balancing their time with the boys is always a challenge, to which most parents can relate to—especially when there are five kids in the mix. Looking for a gym in Highlands Ranch that will challenge you and put you in the best shape of your life? Contact Manic Training and sign up today for your free week trial! Scott and Pete sat down for 30 minutes to talk all about the year that was health, fitness, tragedy, triumph, adventure, and more. The bonds that forge through tough and happy times last the longest which is why 2018 was such a special year for the Colorado community! The new additions. It’s true, the suburbs are more fertile. We name some of the new additions. The new members from communities no longer around. Our favorite stories from the river to the rugby team that tried Manic one night. The events from SUP to Sparta, trails to rides! Charity and other contributions to the community. Our biggest goal for every member here at Manic is to “train in to adventure out“. It’s an ideal we will always strive towards because we know it makes for a better life. The “adventure out” part, it doesn’t stop just because snow is on the ground, the sun is down, or the temperature is below freezing. Building the physical tools and mental toughness to find joy in the outdoors all year round is one of our goals. So, let us give you some ideas on how to better mentally and physically handle the winter. In most cold weather places the weather can change really quick making changing your mind on an activity just as quick and easy. Don’t. When the weather moves in stay the course. Layer up. Throw on some goggles, gloves, and a hat. As long as your safety isn’t compromised go and experience some tough and unique. For every experience that challenges you you become a stronger person in every aspect of your life. What if we sought more difficult situations so when the real tough times came we could take them in stride? Life would be much easier. So, stay the course, stay on schedule and get out there. But I don’t have the gear for that. We are hardwired to find ways to stay comfortable. It’s okay but we can push back. Not having the perfect gear is different than having necessary gear. It all goes to being ok with being uncomfortable. Shorten the effort if you have to but get rid of excuses, all of them. As long as your safety isn’t compromised, go for it. I want someone to come with me. Yeah, we all do. It makes experiences much more fun when you can share them with people. If you are already a part of Manic, this won’t be an issue. It’s the most active and adventurous community you will ever find. If you are having a hard time finding people outside of Manic try a couple of these ideas. Go younger. When your peer group seems to have softened up and won’t try new things, find some younger people that are still getting after it. If you are training at Manic you’ll find that often the younger people are the only ones that have a chance keeping up with you anyway. Join a legit group or club like the Colorado Mountain Club. They have great programming and the people are all like you! The dark, cold, and crazy weather aren’t always fun but they will always teach you something so get out and change it up. A summer day in the 70’s in the Colorado mountains is always amazing but if you haven’t experienced -5 in a snowstorm, it isn’t quite the same amazing. It’s all about perspective and contrast so get out there and experience it all! We’ll get you ready.